Ruşen Güneş, former principal viola player with the BBC Symphony, London Philharmonic and various other London orchestras, was awarded a lifetime achievement award in 2014 by the Ankara-based Sevda-Cenap And Music Foundation. As part of this award I wrote a biography of Güneş, titled Viyola Düştü Yola (Viola Hit the Road), which was published in 2015. 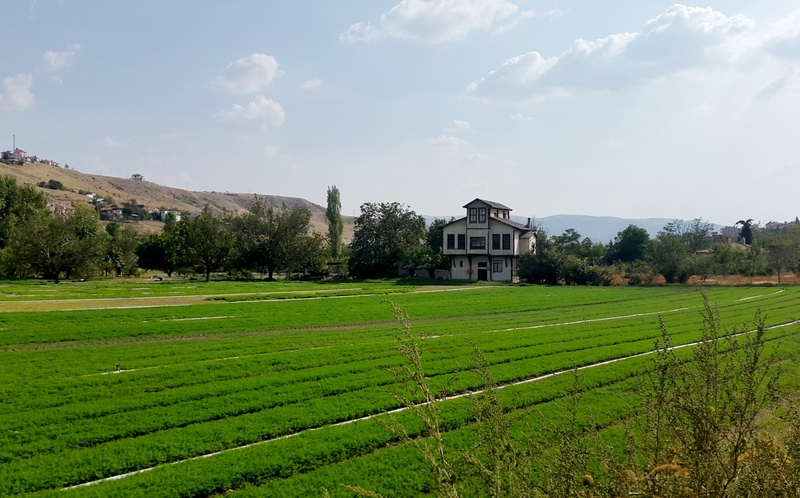 The following blog entry is a translation of a small part of the book that talks about Güneş's birth and his family's origins at Beypazarı, a small and historic town in Central-western Anatolia. This section, written in a fictional feel, is an amalgamation of several personal accounts of the Güneş family members. They were living in a two-storeyed house across the main post office. The house was partly occupied by a great uncle’s family. There was a garden in front of the house that was surrounded by a high wall. Walking on the side street across the post office the house door was reached as soon as one passed the high wall of the garden. A small, blue plaque on the old and crooked wooden door of the house read 2. Once in the house a steep and narrow staircase lead to the first floor where the family lived. There were only two rooms off the landing at the end of the staircase. Their first child, a baby girl named Ayşen, was born in 1937 at the family's summer home, the vineyard house. Now, three years later, they were expecting their second child. Would it be a girl or a boy? Well, as long as it was a healthy baby the gender of the child did not matter. Or, so thought everybody. But Gülşen was quietly hoping for a baby boy somewhere deep in her heart. She had spent much effort and turned the large room across the stairs into a baby’s room. She had sewn new curtains and embroidered duvets with her own hands. This came naturally to her, she was a dressmaker. Within a week of the birth, her husband Kâzım Bey came from Ankara where he had very recently started working and took his wife Gülşen and the little Ruşen with him back to Ankara. Family members were rather surprised with his decision to take a postnatal woman on a tough road trip. Ankara was only about a 100 kilometre away but in those days it took seven hours for a bus to go to Ankara. And it was not an easy trip. The Ayaş Pass, midway to Ankara, with the road curving around so much was enough to make one throw up or at least feel dizzy and nauseous. 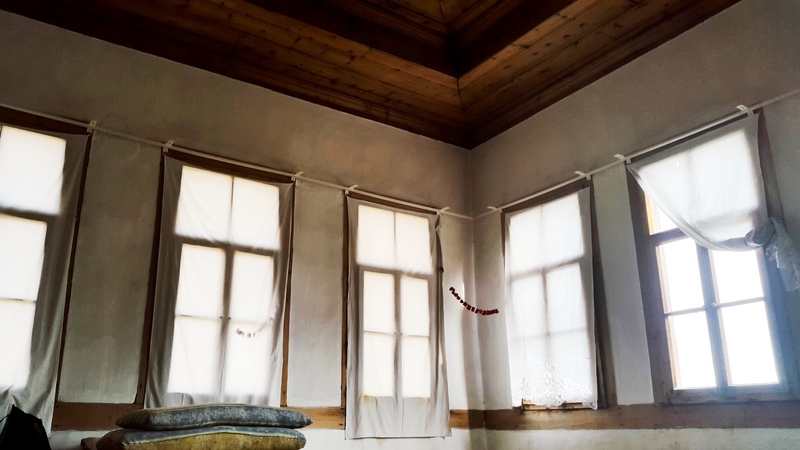 The room with the heating stove, where Ruşen was born. However, no one would have guessed that this would actually be an auspicious decision. Kâzım Bey must have forebode. In less than a week after their trip a major fire had broke out in town center and had rapidly spread in the direction of the main post office across their house. The trucks and personnel of the local fire brigade was not enough to put out this big fire and further had to be requested nearby towns. 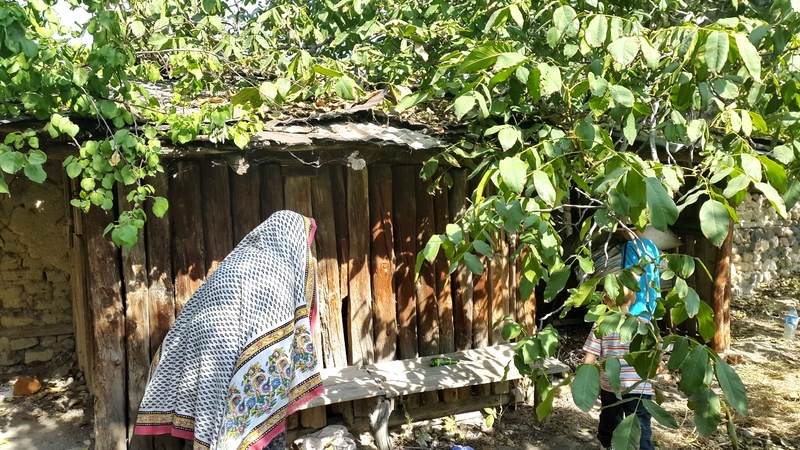 As a precaution houses on the path of the fire had been evacuated, all the furniture had been moved to other houses, including those of Gülşen's beautiful baby’s room. The fire had consumed the traditional partly wooden houses so fast that in a short period of time over a hundred and thirty houses had been burned down. The fire brigade had only been able to stop the fire just three houses away from little Ruşen’s room. Her husband’s family was known as the Attars. Some thought this was because of the family trade as attar, a shop that sells spices, teas and perfumes. Others believed that this was due to the family’s origins as Crimean Tatars and attar was a deviation from Tatar. The name Güneş, meaning the sun, on the other hand originated with Güneş Dede seven generations earlier. He was the one who had traveled south from Crimea, first to the island of Crete and then to Izmir on mainland. 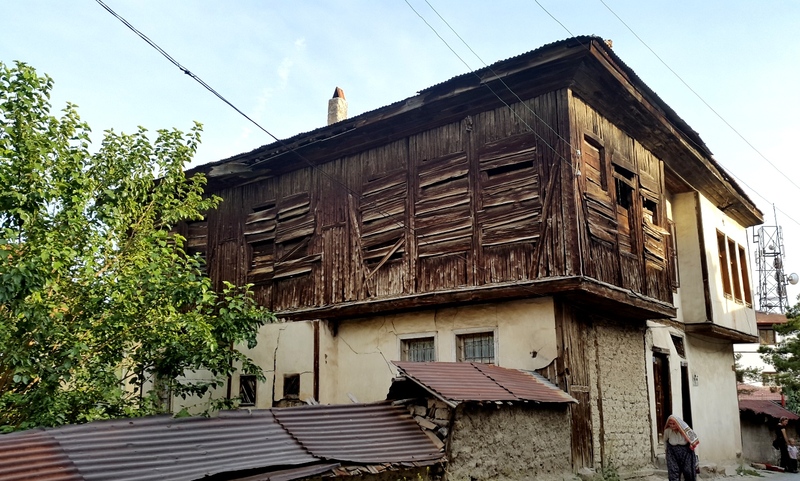 No one knows how and why he had ended up here at Beypazarı, more than 600 kilometers inland from the Aegean coast. Perhaps the exceptionally fertile lands of the region had attracted him. 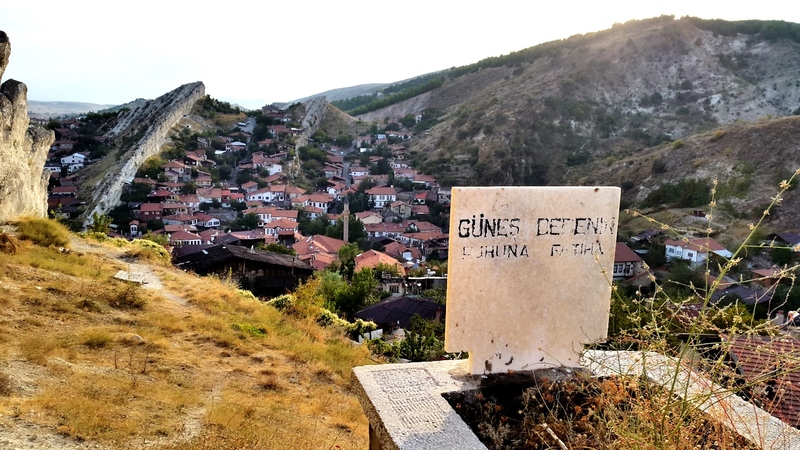 Locals revered Güneş Dede very much almost like a local saint and regularly placed candles at his tomb. The tomb was in an exceptional location overlooking the whole valley, at the foot of the rocks which were shaped like huge vertebrae. His was the only tomb up there, where it stood bravely against severe colds and winds, and to time and loneliness. It is said that Güneş Dede had a special talent that he could cure skin diseases by touching and praying. This was still true according to family members. By using the soil from the tomb, skin problems such as eczema, warts and similar diseases could be cured. Gülşen had heard that her husband Kâzım Bey’s sisters also possessed this gift. She may not have believed if she was told that their daughter Ayşen would also be able to make warts disappear by repeating certain prayers in a matter of few days. However, this was a gift from Güneş Dede to his family. 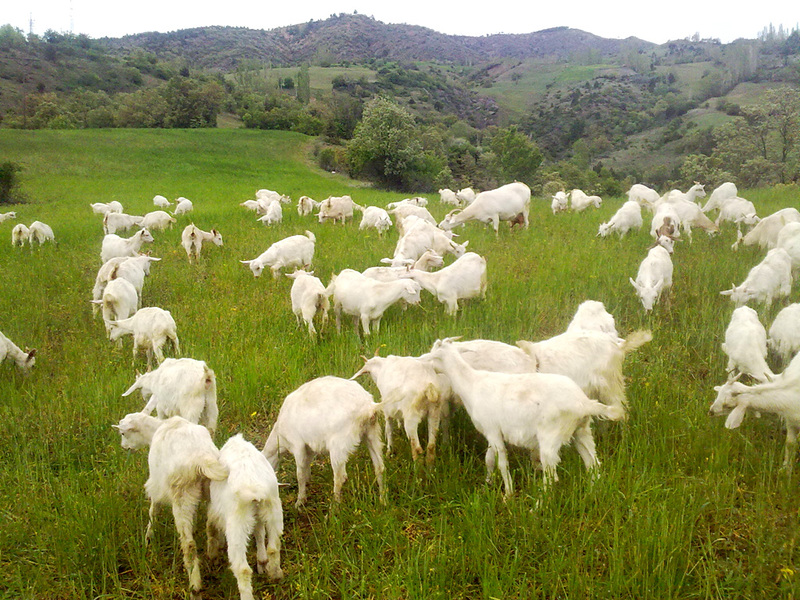 The most fertile lands in Anatolia were around Beypazarı. In olden times the town was on the İstanbul-Baghdad main trade route. Ottomans had used it as a military garrison and had stationed their fief-holding cavalry corps here. The town’s center was established on the easier-to-settle plains and valleys stuck between pointy volcanic hilltops that resembled dinosaur Vertebrae. 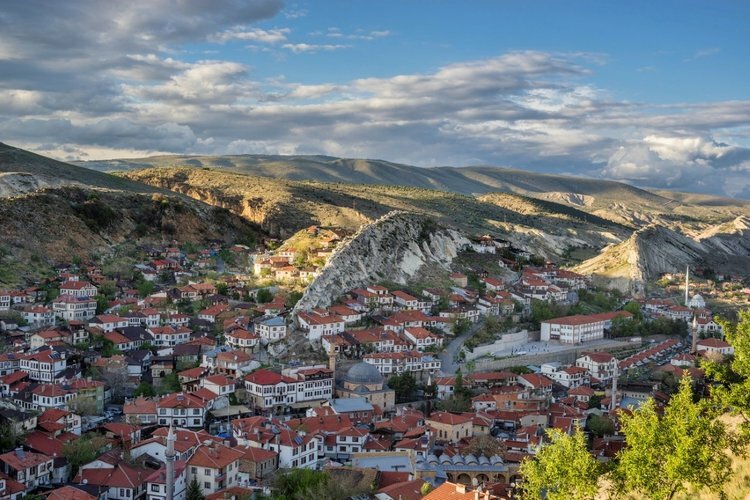 Because of this strange feature, in the ancient Luwian language, a language similar to the Hittite language of the same region, the town was called Lagania meaning the Land of the Rock Summit. Kâzım’s parents Zeki Efendi and his wife Hatice Hanım lived below these grand rocks toward the town center right across from the post office. Theirs was a big family. They had had eight children, but their second child Lütfiye, after the oldest Niyazi, had suddenly and unexpectedly died without an apparent cause at aged eighteen. Neighbours were shocked after hearing the bad news but thought that it must be the forty-day-old Semiha who must have died as infant deaths were much more common. It was not easy to believe a healthy and strong eighteen-year-old as Lütfiye could possibly just drop dead. 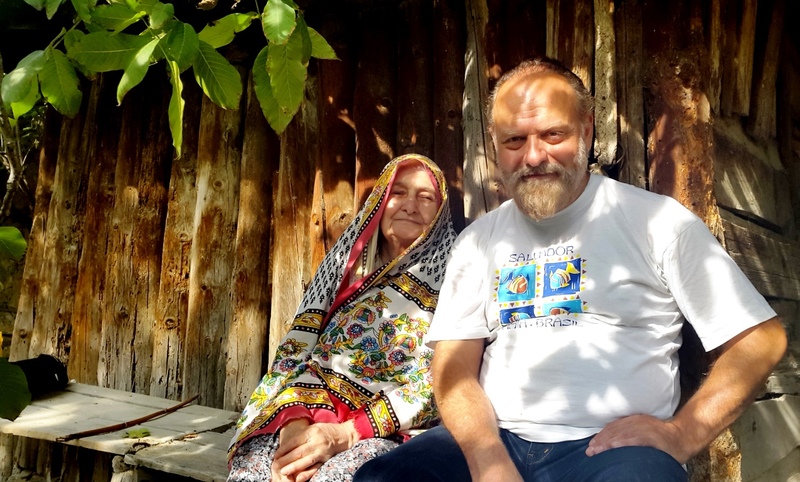 The forty-day-old Semiha was to live well into her eighties and survive all of her siblings. Kâzım Bey’s younger brother Kâmil had gone to the United States and was not heard from for seven years. He had turned up one day unexpectedly and had brought gifts for everyone. Ruşen was going to remember the leather coat his uncle had brought him and how the people were looking at him on a public bus in a poem years later. 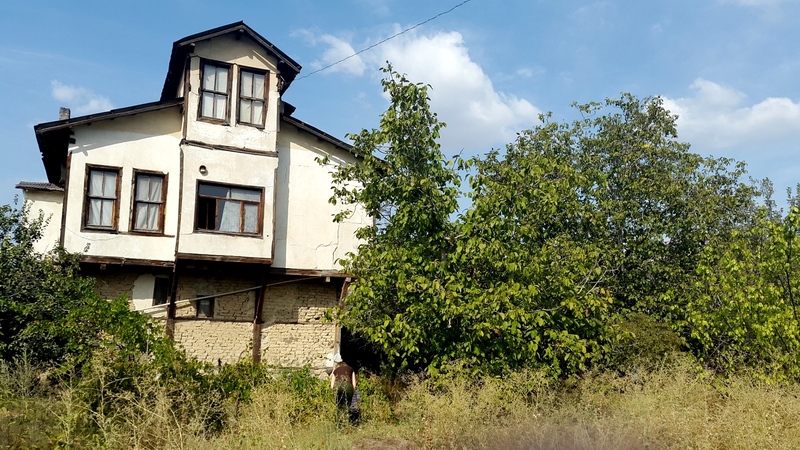 The Güneş family used to spend the winter in the house near the town centre but the children’s favourite was the vineyard house that was only about six hundred metres away. As soon as the weather improved in late spring the family used to move there for the summer. They had to move all the mattresses, pillows and sheets because as soon as the schools closed not only their own family but also all the cousins and relatives would also gather here. Summer holidays were the most colourful times at the vineyard house. The craze of running to the coastal areas or having a summer house near the beach had not yet started in the 1940s. The vineyard house was right in the middle of the wide plain below the slopes where the town was situated. Surrounded by all the green fields and fruit orchards it seemed like an oasis next to the barren hills. The house was made of mud bricks and wood as most of the houses in this region. 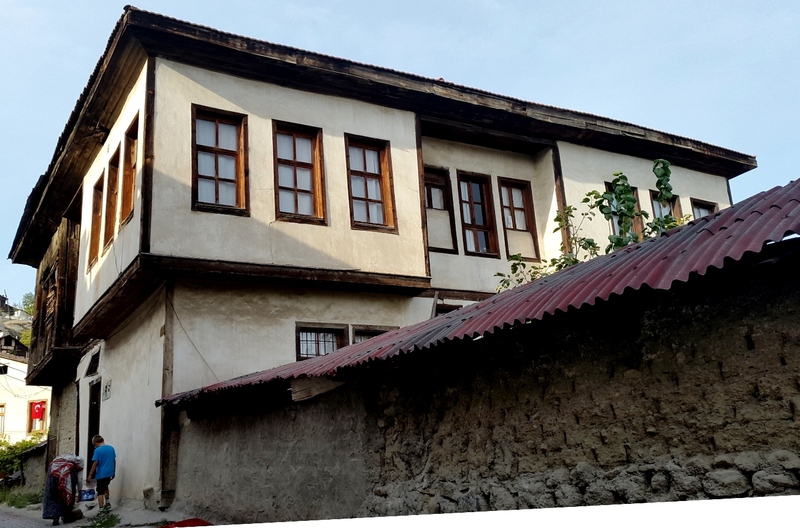 They had originally planned it as a three-storeyed-house but an unexpected heavy rainfall had melted the mud bricks while Zeki Efendi was building the second floor. Because of that, the ceiling of the second floor could not have been built high enough to be actual floor. Instead, they had placed a long hall that laid right across in the centre of the house and above the four rooms at each corner of the second floor. This long hall was the most crowded and the most cheerful part of the house as all the children, numbering more than ten, would sleep here on a line of mattresses rolled-out on the floor. The hall had the feeling of the dormitory of a boarding school and probably similar to the dormitories Ruşen was to find at the conservatory in Ankara, where he spent nine years as a student. The vineyard house had two doors, one at the front facing the wide path which pretended to be a little street and the other that opened to the garden. It was a different world within the garden walls. There were many fruit trees here; fig, quince, apple, mulberry, sour cherry and wild apricot. There were no apricot trees but many grapes, on one side green and on the other blue, delicious grapes. There was so much fruit on these trees during the summer that the branches would be leaning down toward the ground. This was a very fertile land with much water. There was bubbling waters running all around. A small irrigation canal used to run next to the house and through the garden. This little canal, dug in the ground and walled with rocks on the sides, entered the garden under one of the walls and made a 90-degree angle as soon as it passed the house heading to the neigbouring gardens. 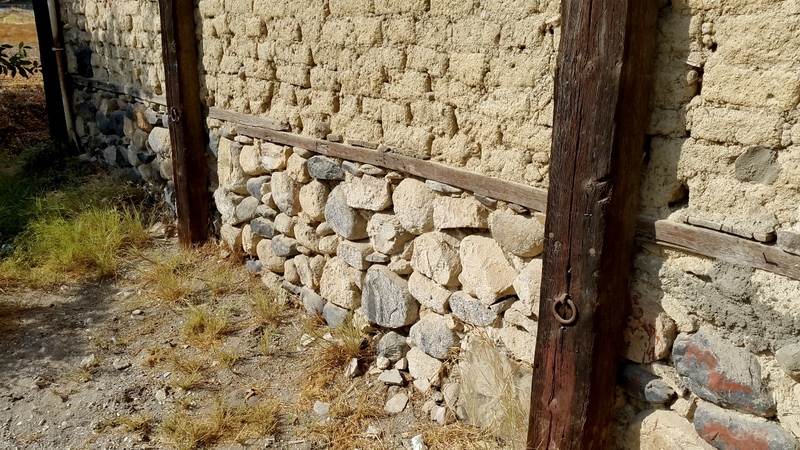 When it was time to water the garden, this ice-cold running water that came from the mountains would be blocked by a big rock and as soon as the watering ended it would be let go to rejuvenate other gardens on its way. There was always a table where the canal would make the angle during the summer season. With the cold water running next to it and under all the tree branches this was the coolest point in the whole garden. The table was also very close to a shaggy hut which leaned on the garden wall built of rocks and stones of all sizes. The hut housed the stone oven. 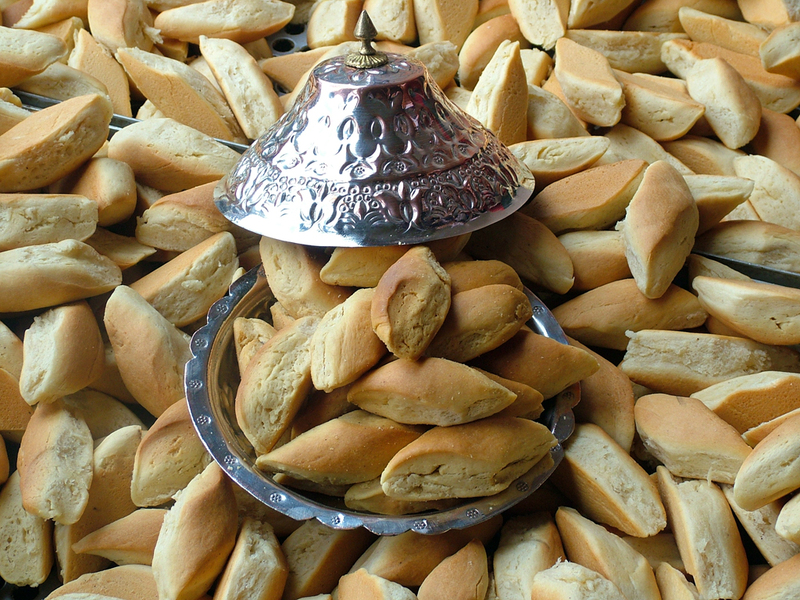 Gözleme, bread and the famous kuru of Beypazarı (a kind of buttery, non-sweet biscotti) were baked in this oven. Fresh milk would be mixed with butter and flour in a wooden basin and then the yeast would be added. Once the enticing scents coming from the oven began to fill the air all the children from around would gather to get a taste of the baked goods. They used to keep two cattle here. These would be tied to the two rings attached to the walls of the house. The milk collected from the cows would be kept in a chamber behind the stone for two days and, in order to keep it from spoiling, would be boiled twice a day. The useful invention of the refrigerator had not yet arrived here. A thick layer of cream would form on top of the boiling milk. The children loved to spread this cream on bread and eat it with jam. Outside the garden door stood a tremendous mulberry tree. This is where the children played hide and seek. There were children of all sizes. So many that Grandma Hatice could not remember all of their names and when she wanted to talk to one of them she would hold their shoulders and ask their name. Then she would start laughing realizing how funny her question was. 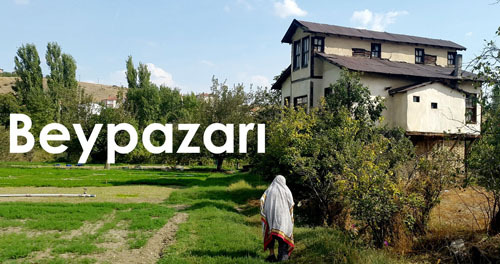 During the summer months that coincided with Ramadan, the late night Tarawih prayers used to be held at Zeki Efendi’s (a former men's title) vineyard house. Men and women would be in separate rooms for the prayer. If the weather allowed they would be outside, if not inside. A Quran reciter would have been invited to lead the prayer. Children loved to do naughty or silly things during the prayers. They would put pillows under people during namaz or pull the prayer rug from under them. Once the prayer finish the young people of the family would serve coffee or tea to their guests and perhaps sweets, too. Hatice Hanım’s husband Zeki Efendi was in the tiftik (mohair wool) business. He used to take the wool he gathered at Beypazarı and sell it in Istanbul. But during the war years mohair sales had completely stopped and all the wool he stocked had been spoiled. With the financial problems they had, he had decided to work as an attar. Many believed this was the reasons they called them the Attars. At the end of the season once the weather began to cool down, the cattle would be slaughtered since there was no place to keep them at the winter house. Meat would be typically stored for the winter as sucuk (Turkish pepperoni) or would be minced. Since these cannot be done in the summer heat, moving back to the house in town would sometimes be as late as November. Even though the distance was not much, the move was always a difficult one. 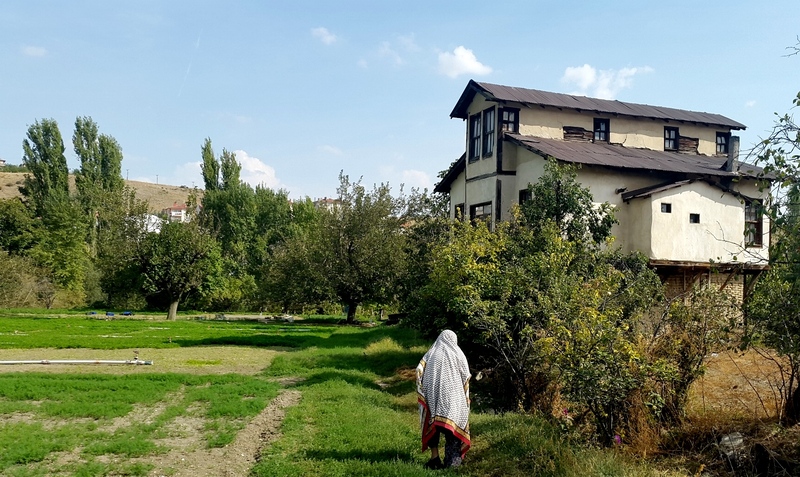 Since Kâzım Bey and Gülşen Hanım had decided to stay in Ankara for the children’s education, they were only able to come back to Beypazarı when the schools were closed. 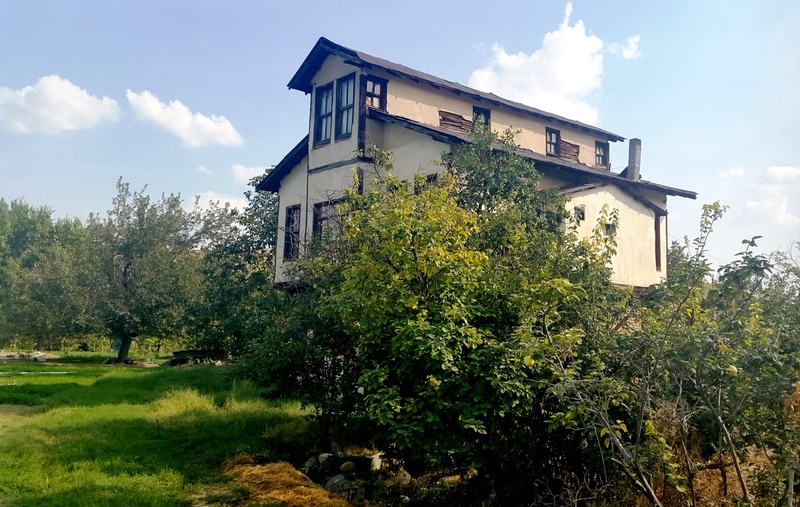 Ruşen and all the children were to remember the times they spent at the vineyard house as the happiest times of their lives mixed with childhood dreams. With Semiha, Ruşen Güneş's youngest aunt, who since passed away.